"We have been listening to Sparkle Stories for almost six years. I run a small Montessori school and we sometimes play the stories during naptime. 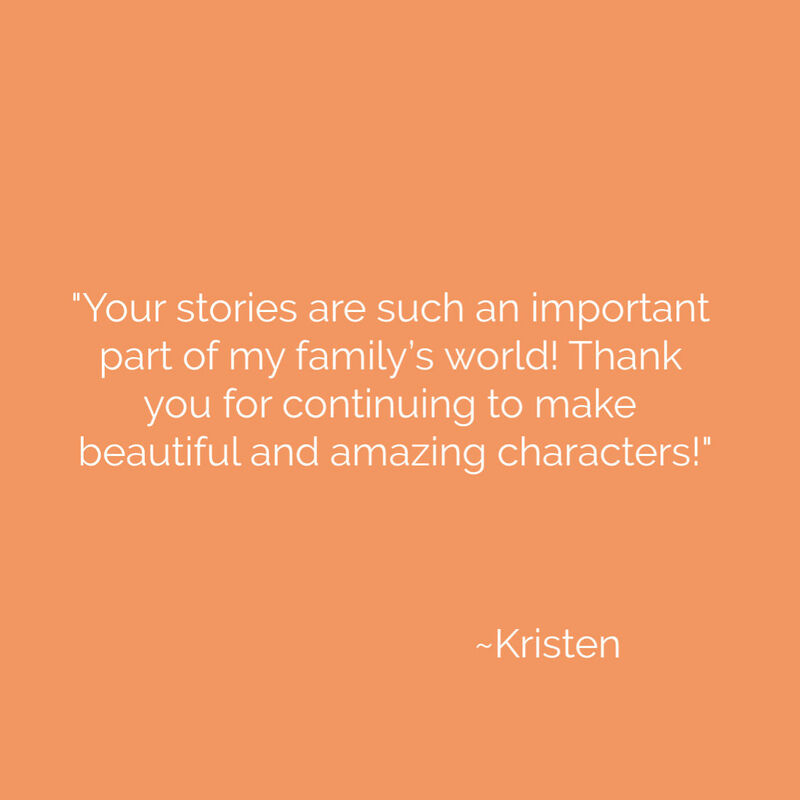 Your stories are such an important part of my family’s world! Thank you for continuing to make beautiful and amazing characters!"